It would be awfully strange to contact a company on the Internet by typing their IP address into your browser–can you imagine entering addresses like 192.168.0.0 to reach a company’s website? But that is exactly what we do by phone. CallMyName wants to change that with its global ‘name resolution’ service. reason that telephone numbers contain seven digits. have come up with a host of personal solutions. device–I mean, who honestly remembers all their family’s phone numbers anymore? a long list of numbers. 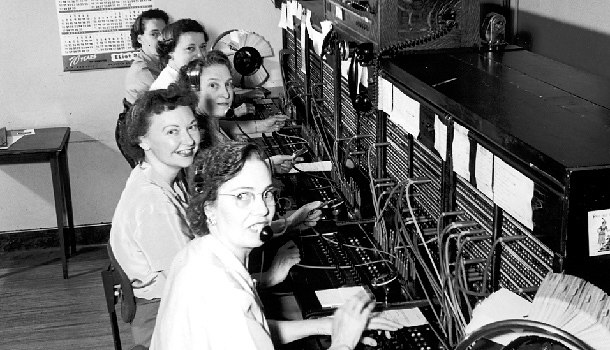 telephony was invented is truly surprising. website? But that is exactly what we do by phone. you by phone, by searching for your name in their directory. Even if you change your contact details, you can still be reached by the same name. ideas to solve this problem, let me know. Comment here or email me at: dlavenda1@hotmail.com; follow me on twitter at @dlavenda. scholar for the Society for the History of Technology.